People love vacationing in Cancun, and for obvious reasons! But if you're looking for a chance to get away from some of the crowds and tourism of this very popular getaway destination, there is a little paradise just waiting for you. Sure it still has resorts and tourist traps, but it also has a whole lot more charm and authentic culture. Plus beautiful beaches and a turtle sanctuary! We know—amazing. Isla Mujeres is an island only about 8 miles away from the beaches of Cancun, making it the perfect day trip, or stay for longer! 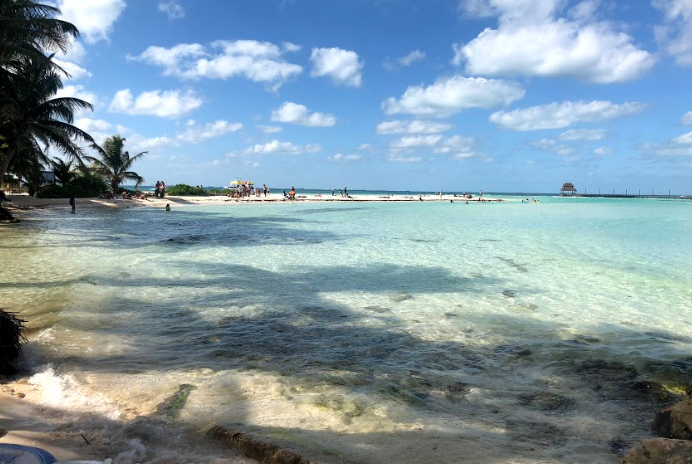 One side has a rocky coastline and faces the Caribbean Sea, while the other side faces Cancun and has crystal-blue water and soft, white sand. And the entire island is only 4 miles long, so you can experience all of it! Since there are definitely some things you should know before visiting Isla Mujeres, we're here to help you out. 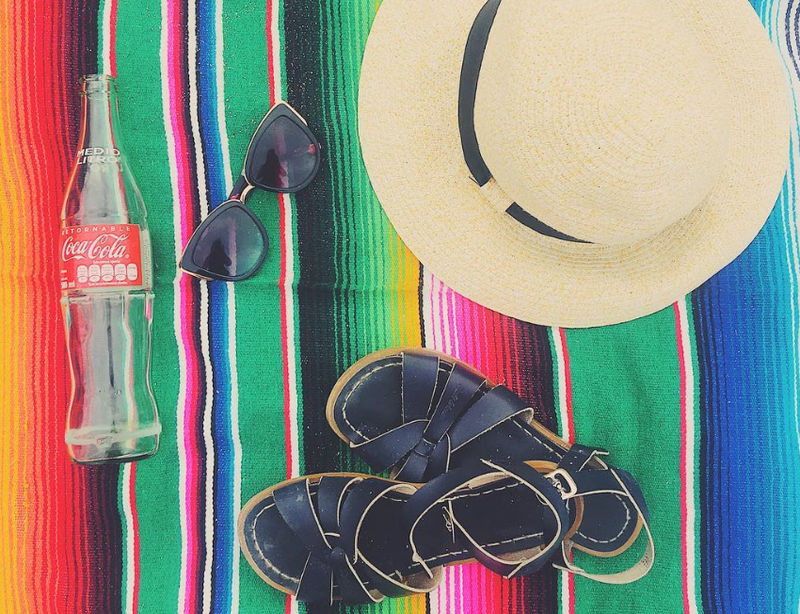 Keep reading for all of our tips that will help you make this one of the best vacations ever! The ferry that will get you from Cancun to Isla Mujeres is called "Gran Puerto Cancun", and the dock is in Puerto Juarez, just a few minutes from downtown Cancun. The boats leaves every 30 minutes from 5 am to 9:30 pm, and then leaves every hour after that. The ride over only takes 15 minutes! A round-trip ticket to the island is 300 pesos (about $16), and you can find out more by visiting the official site. 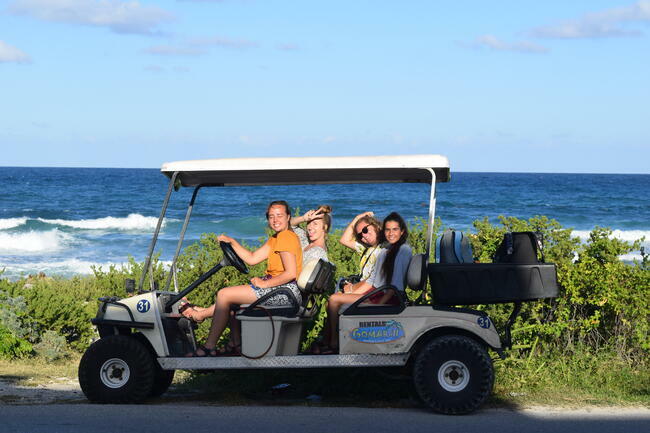 To really see the island, you'll have to rent a golf cart. But since this is the main mode of transportation, there are places all over that you can rent them from. The easiest place to grab one is on the main street directly in front of the port when you get off the ferry. Pricing will probably range from about $35-$45 for the entire day, which if you have four people is not much. Heads up: all of the streets in the central town of Isla Mujeres are one way, except for the street right in front of the ferry docks. And all of them are very narrow, so make sure you keep an eye out for pedestrians and other drivers. This is honestly the most fascinating and unique place you can experience around the island! But it is also one of the most expensive activities, so definitely not for everyone. These statues are so incredible that we just can't even describe them. The part of the museum by the Isla Mujeres is called Salon Manchones, and to see the statues that are about 25 ft. under the water, you have to go scuba diving. This five-hour tour costs $140 for beginning scuba divers. Check out their website for other tour options. 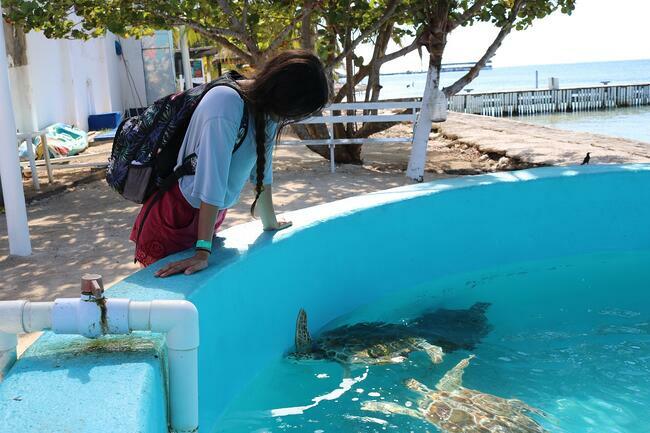 Tortugranja, the turtle sanctuary, is about to make all of your turtle dreams come true. In order to help preserve the species, these turtles are kept in the pools at this facility from the time they hatch until they are one year old. The babies are kept inside, along with other marine life like starfish, seahorses, and crabs. Definitely worth a $3 visit! Check out this website for more info. Hours: Usually 9 am to 5 pm daily. As you will notice on the ferry ride to the island, this water is some of the prettiest you'll ever see. The most beautiful and popular beaches are found on the northern point of the island, while the bluest water is found on the western side. Playa Norte is a great place to go if you are wanting a peaceful, beachy afternoon. There are lounge chairs, snorkeling equipment, water toys, and big umbrellas for rent all up this beach. The water is crystal clear with no big waves and stays shallow for quite a ways out. Dreamy! Located at the very southeastern tip of the island, this site consists of a lighthouse, some ancient ruins of a Mayan temple, and a sculpture garden. Isla Mujeres translates in English to "Island of Women", and this temple was originally made to honor the Moon Goddess. The whole area is very picturesque and surrounded by breathtaking cliffs! This is where you'll find a lot of the little shops and restaurants on the island. But guess what?! It's a pedestrian only street! Time to get all those souvenirs! 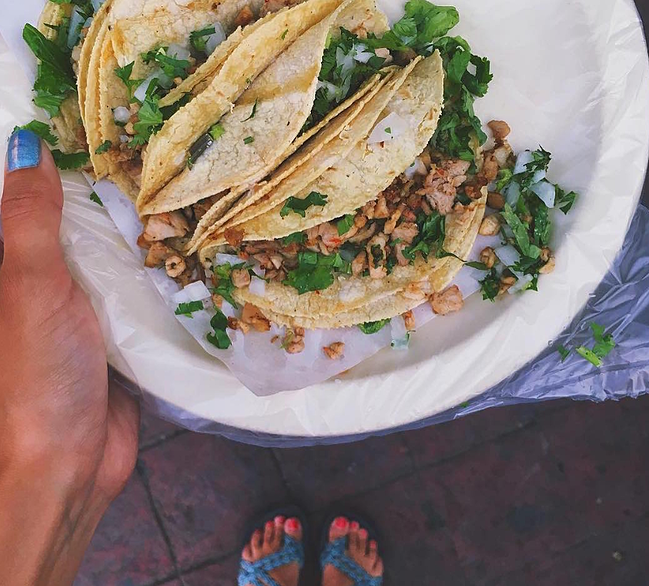 This will most likely become the staple of your trip since it's the perfect spot for breakfast, lunch, or dinner. They have great-sized portions, and really friendly staff! If you like seafood, this would be an ideal place to get some, although everything else is good too. The prices are reasonable and the food is tasty, so what more could you want? Hours: Open from 8 am to 9 pm Monday-Saturday. This place serves not only great Mexican food, but also some American staples, like burgers and pancakes if you're craving that instead. Definitely a favorite breakfast spot. Plus free wifi! Hours: Open from 7 am to midnight daily. Another breakfast favorite, because you can never have too many of those, but every dish served here is a real winner! It has incredible reviews and your mouth will start watering the second you walk in. If food presentation for pictures is important to you, then this is the place to eat! Hours: Open from 7 am to 9 pm daily. Makes it easier that they all start with "s", huh. And trust us, you'll need all of them! You can use the water in Mexico to brush your teeth, but don't plan on drinking it. You can buy water on Isla Mujeres, but it's always nice to have your own refillable one so you can pour the bottled water into your water bottle to keep it cold. Here are some great water bottle recommendations! Only drink bottled drinks! And make sure the seal hasn't been broken. Just something you can use to dry off if you decide to swim in the morning but then need a picnic blanket in the afternoon. Like everywhere else in Mexico, they use pesos on Isla Mujeres. There are plenty of ATMs on the island, but it's definitely a good idea to bring some pesos with you just in case you need them right when you get there. Many of the people living on Isla Mujeres have extremely small incomes, and even a little tip from you is very appreciated. This is even true of the teens working in the local grocery stores there. Remember to always smile and say "gracias" whenever someone helps you out. 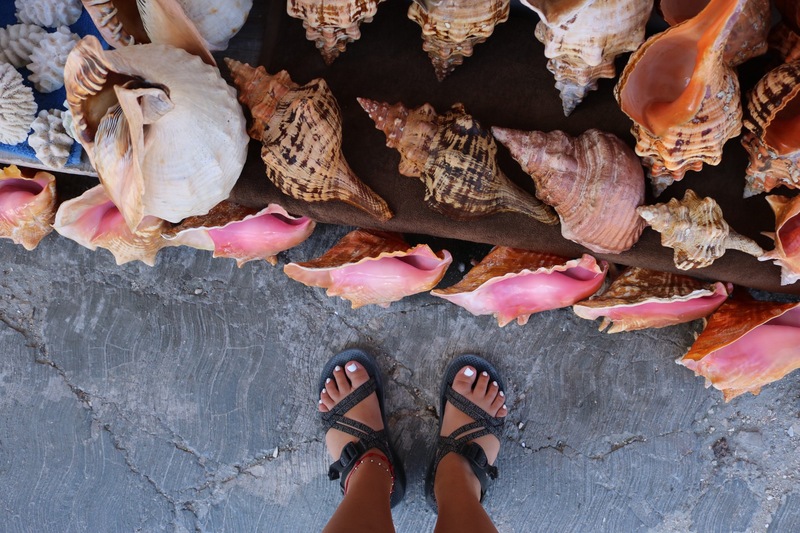 Want to spend an entire semester living in Mexico as a volunteer? 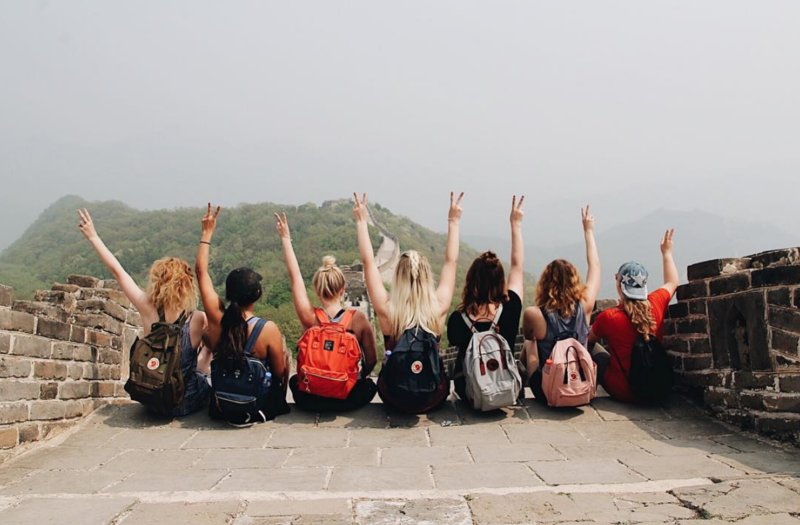 We know it sounds too good to be true, but that's exactly what you can do as an English-teaching volunteer with International Language Programs! Click the button below to find out more about how you can be a part of our organization that will help you experience new cultures while providing meaningful service!